The UK claims it has led the diplomatic effort to help the Rohingya and apply pressure to the military. Since violence broke out last year, the government has given £59m in aid, making it one of the biggest donors. It has also suspended military training programmes with the Burmese army after pressure from British parliamentarians and secured a statement from the UN Security Council on the crisis. 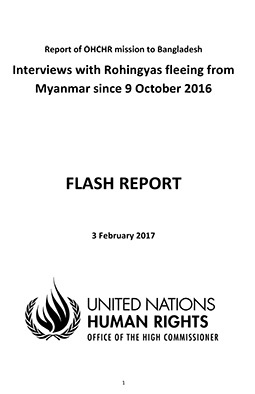 But that’s it.The Burmese military and Min Aung Hlaing have paid no meaningful price for their security operations, first described by the UN’s high commissioner for human rights as “textbook ethnic cleansing”, but more recently as a military campaign in which “you cannot rule out the possibility that acts of genocide have been committed”. At the lord mayor’s banquet in November last year, Theresa May called explicitly for more action against the Myanmar military. In a major foreign policy speech, she condemned the images of desperate refugees fleeing violence by saying the humanitarian crisis “is something for which the Burmese authorities – and especially the military – must take full responsibility”. She went on to pledge that Britain would “continue to play a leading role in bringing the international community together – working through the UN and with regional partners to do everything possible to stop this appalling and inhuman destruction of the Rohingya people”. Johnson is right to press Aung San Suu Kyi to do more to protect the Rohingya. When I visited Rakhine state for the second time last year, I met many Rohingya who had been persecuted and displaced by previous military crackdowns. I, too, met with Aung San Suu Kyi and pleaded with her to do more to help and protect the Rohingya. While she does not have control over the military, border forces or police in Myanmar, she does have her voice – a tool that she has used so powerfully in the past. After seeing the damage done to Rohingya villages and meeting refugees forced to flee to Bangladesh, the foreign secretary was right to underline the importance of holding to account those responsible for the horrendous human rights violations. But if May’s words mean anything, he should now campaign for Min Aung Hlaing to be called before the international criminal court. Yes, it is the case that particular countries will protest against such action, namely Russia and China. However, Britain should call this out for what it is and take a leadership role in holding to account the perpetrators. Without accountability, Min Aung Hlaing can continue to act with impunity. Accountability is not just about justice but also about deterring future injustices. There is a strong likelihood that the scenes of violence witnessed last August will occur again. The Arakan Rohingya Salvation army remain active in Rakhine state, and if Min Aung Hlaing has learnt one thing in the last year, it is that the international community will not take any meaningful steps against him. The international criminal court exists to prevent such horrific acts of violence (as did its predecessors, the international criminal tribunals). It has successfully tackled historic cases of war crimes. From the 25 cases that have been before the court, eight people have been convicted. An ICC referral is not, of course, a silver bullet to solving the Rohingya crisis. The UK government must also lead the international effort to implement targeted sanctions on the business interests of senior Burmese leaders. The UK must lobby its partners at the EU foreign affairs council meeting on 26 February for these measures, as well as for travel bans and for deterring western businesses from cooperating with military-owned or -run companies. 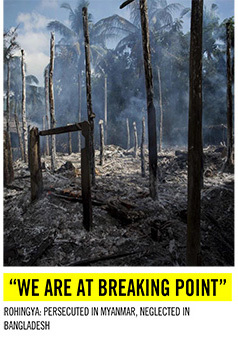 But without pressure on the Burmese military, they will continue to act without any consideration for the Rohingya. The delayed repatriation process of some of the 688,000 Rohingya refugees who fled to Bangladesh as a result of the Burmese military crackdown is an example of this. The terms failed to meet even the most basic international standards. Glaringly absent from the deal were any meaningful guarantees of the Rohingya’s safety once they return from Bangladesh. That is crucial, given the Rohingya have faced decades of systematic discrimination and mistreatment. International pressure halted this deeply problematic process. Bangladesh, one of the poorest countries in the world, is also clearly struggling with the huge numbers of Rohingya refugees. 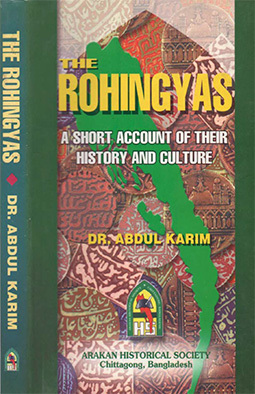 Its government has undoubtedly saved hundreds of thousands of lives by allowing the Rohingya to cross the border. But significant humanitarian assistance must be provided by the international community to Bangladesh to help deal with the colossal task of feeding and housing almost one million refugees. The annual cost of supporting the 688,000 refugees, along with those who were already there, will be close to £1bn. Britain has committed £59m but it must continue to pressure other donors to step up. If real action is not taken against the Myanmar military – in particularly General Min Aung Hlaing – it is likely that the horrific events witnessed last August will happen again. Just the possibility of an ICC referral may be enough to give Min Aung Hlaing pause for thought before ordering further attacks against the Rohingya or other ethnic groups – and that could save lives. It is time for Britain to act.